Silver Plated Trinket Box. Lined with a dark blue velvet type material. Supplied boxed. Engraved in-house to exceptionally high standards. 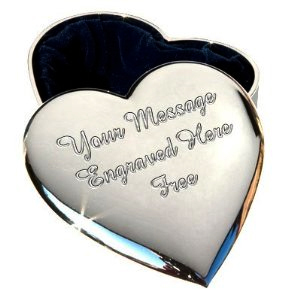 Your free personalised message will be engraved centralised on the top of the lid. Note: Messages will be engraved as provided so please take care when typing as we can't be held responsible for your spelling and/or typo. errors. The message can have up to 3 lines of text with a maximum of 17 characters including spaces per line.. Going over our recommended limit will make the lettering too small to read and possibly not fit! Choose your font from the picture at the top of the listing. If you don't tell us which font we will choose the most suitable. If your engraving instructions are missing, too long or unclear we will need to contact you to discuss them, so to minimise any possible delays please leave up to date email & telephone details when ordering just in case. Ordered this product on Saturday,as a gift for the grandmother of the bride. It arrived on Wednesday,and I was really suprised by the quality of the engraving and the product itself,especially with the price! 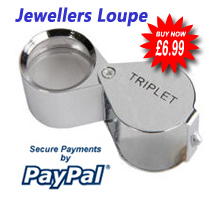 It was easy and quick to order,arrived sooner than I expected and was amazing quality!! If your after a gift for birthday,wedding,anniversary its beyond perfect. Will definately be using AJ in the forest again for my other wedding "thank you" gifts!